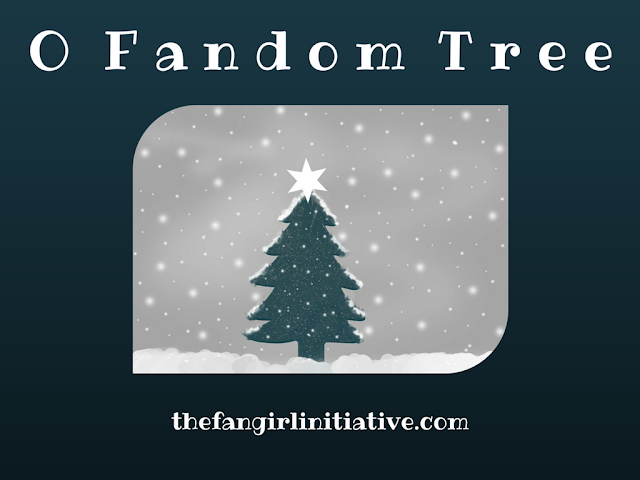 Merry Christmas from all of us at The Fangirl Initiative! 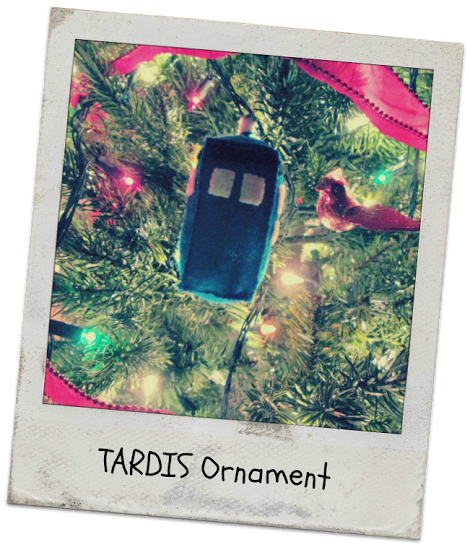 Since decorations are one of the most festive parts of the holiday, we decided to spotlight one of the areas where our fandoms and Christmas collide. 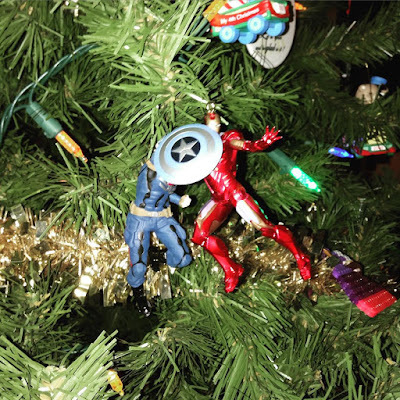 So without further ado... let's discuss fandom-themed Christmas decorations! Most years, my family’s Christmas tree is pretty varied and random in terms of theme. 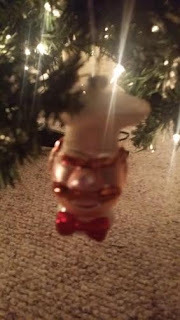 We have ornaments that were gifts or things that we made, as well as some vintage ones. This year and last year, however, have been especially unique. Last year, my family moved not long before Christmastime, which meant the majority of our decorations were still in storage and packed behind our other stuff when we decorated the tree. While we got a few new ornaments, our tree looked emptier than usual. I don’t remember whose idea it was but over the course of December, various nerdy items integrated themselves into the Christmas décor at my house. There were books. Not only were they a good way to cover the empty spots, they were quite eye-catching. :) Included were The Two Towers and The Return of the King. 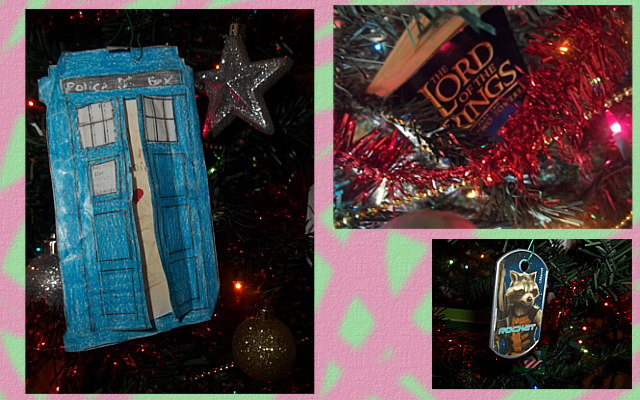 But books weren’t the only fandom gear on our tree. My sister and youngest brother added their sonic screwdrivers. We also made ornaments featuring everything from the TARDIS and quotes from the Doctor (my sister’s idea) to presents with the tags “Stuff” and “Things” (because we couldn’t not have The Walking Dead decorations). What I love about the Christmas tree is how it reflects so much of my family--our personalities, memories, and even favorite fandoms! 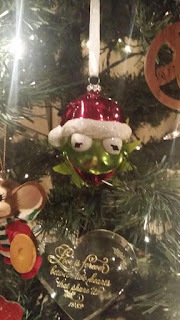 My family has a tradition: every year, each of us gets an ornament. 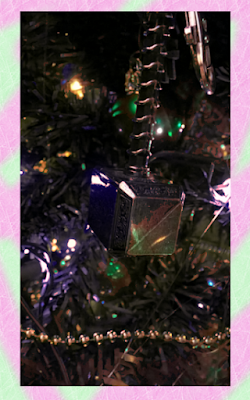 The ornament is meant to represent our year and the things we went through, as well as how we grew. However, since fandom is such a huge part of my life, fandoms have snuck into my ornaments more than once, which is just fine with me. One of my first fandom ornaments (besides Winnie the Pooh and the Pokey Little Puppy) was Lucy entering the wardrobe into Narnia. Every year, I position it near a light so that it looks like the light of the lamppost is shining through. 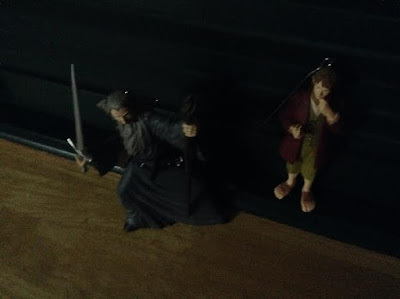 One year, my brother and I both got ornaments to commemorate seeing The Hobbit. He got Bilbo, I got Gandalf. 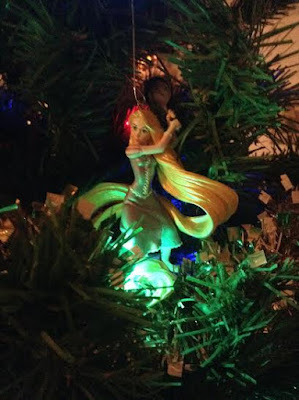 To commemorate my status as wielder of the Frying Pan, I have an ornament of Rapunzel from Tangled. My brother has Iron Man, and I have Captain America. In honor of Captain America: Civil War, my brother made sure our ornaments accurately reflected the current state of their relationship. Just like all things, Christmas ornaments are a reflection of our lives and who we are. Fandoms are no different. I wouldn't have it any other way. 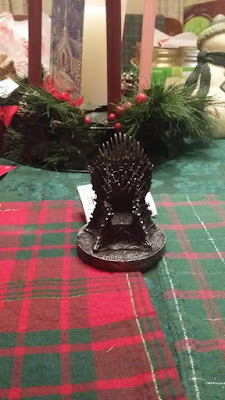 For my family, creating a fandom-themed Christmas isn't too difficult. We've all collected plenty of ornaments that come from various TV shows, movies, and yes, even books. Personally, I've got my own collection including Star Wars ornaments, Rapunzel from Tangled, Woody from Toy Story, even Frodo Baggins. 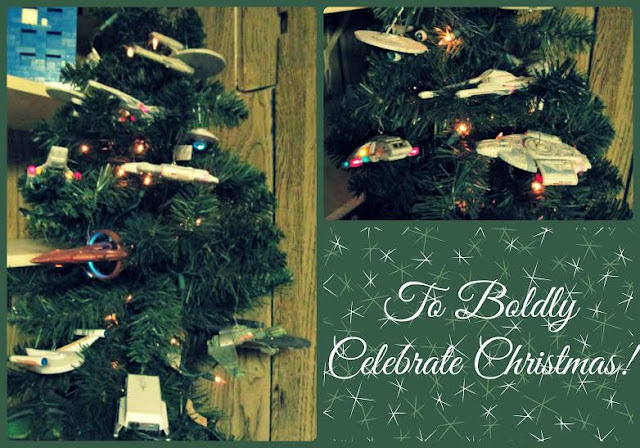 However, my dad wins the prize with his collection of Star Trek ship ornaments. He's collected every single one released since... well... forever? He doesn't like to get the figurine ornaments of people or planets (though we do own some of those as well); he's solely a fan of the different ships, from the Borg cube that talks when you plug the lights in to the various Enterprises that whir with lights and beeping. But he doesn't put them on the regular Christmas tree. No, he's got his own special, little tree to hang all of his Star Trek ornaments. At our house, it's the most fandom-y thing we've got to celebrate with. It's so special, last year he didn't even take it down when the holiday season was over; instead, it stayed up so we can be fandom-y all year around. 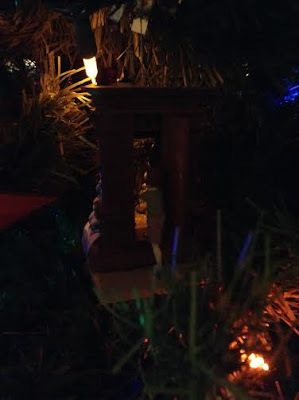 In addition, last year I created my own fandom nativity complete with Flynn and Rapunzel as Mary and Joseph; Yoda, Chewie, and Han as the three wise men; and Batman as the angel Gabriel. Of course, I didn't take pictures, but it was truly glorious and I encourage everybody to create their own (or use Legos?) because it makes for a much more interesting Christmas story. My mom also made her own TARDIS ornament for our tree one year. It's plushy and even detailed with the windows and the pull to open sign (though not detailed enough to read). It's easy enough to decorate for the holidays with fandom stuff. And if you don't have ornaments or enough action figures to use, you could always resign to creating fandom-y, paper snowflakes. For as long as I can remember, my mom, and before her my grandma, have given me an ornament as one of my Christmas gifts. I've taken this tradition and continued it by giving ornaments to others as well. Recently, those that I've exchanged with my family have been fandom or Christmas fandom related. A lot of families have a movie or a few that they watch together each Christmas season. 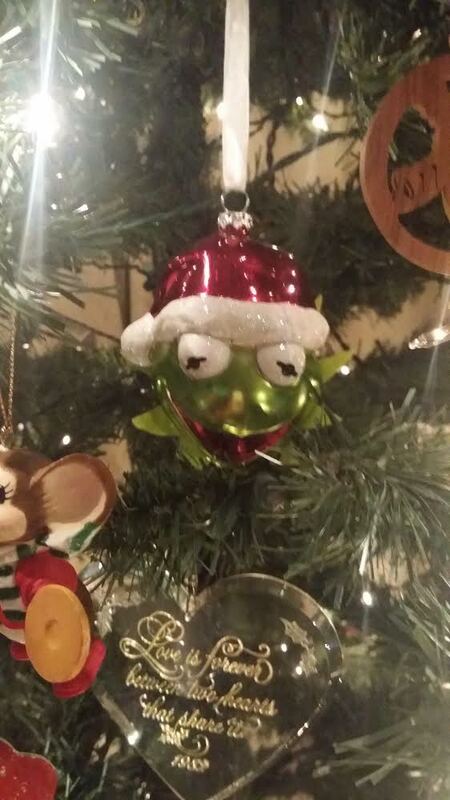 For example, last year I got my parents Muppets themed ornaments. We always watch A Muppet Christmas Carol as well as at least attempting to watch a special called A Muppet Family Christmas. The previous year, I got Dad a plug-in nightlight in the shape of the lamp from A Christmas Story to pay tribute to another family tradition. On Christmas Eve we all take a break from sneaking around and wrapping each others gifts to watch A Christmas Story and eat Chinese food. Like other fandoms, these films are a part of our lives, even if only at a certain time of year. 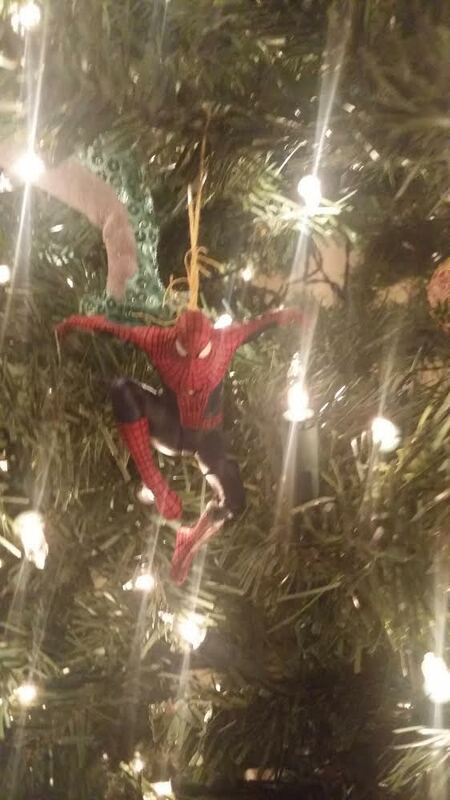 We have some regular fandom ornaments on our tree as well. Last year, my boyfriend and I accidentally bought each other the same ornament. Spidey does a good job of keeping both of our trees safe from, well...cobwebs, I suppose? 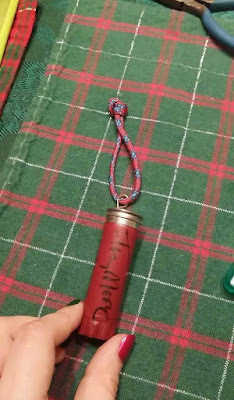 This year I worked a shot gun shell autographed by Tony Moore, the comic book artist behind The Walking Dead, into an ornament for aforementioned significant other. As another marker of shared experience, I got my dad an ornament version of the Iron Throne from Game of Thrones. We're working our way through the book series together, and I wanted to commemorate that, regardless of who we think should sit on the throne. Fandom, like Christmas and all the holidays, brings people together to celebrate what we have in common. Whether that be celebrating the birth of Christ, as it is for my family, or getting together to watch the same movie every year (as it also is for my family). These things we share are important, and it's very special that we have a few days each year dedicated to the memories and love that we share with those around us. Christmas is a great time to introduce a loved one to a fandom. Take advantage of the time you're together and make some memories! What traditions does your family have around the holidays? Do you have any specific movies that you watch every Christmas? What's your favorite fandom inspired gift that you've ever given or received?